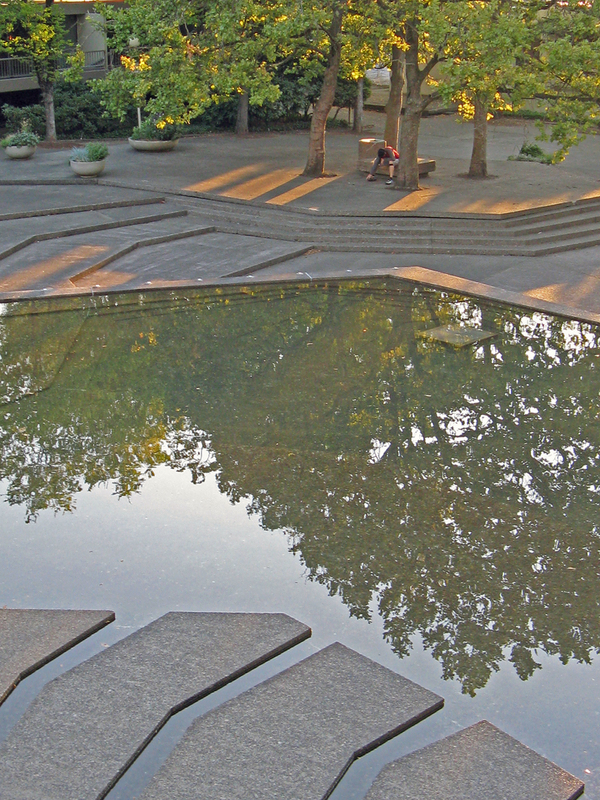 Named for Asa Lawrence Lovejoy, a Portland pioneer, this one-acre plaza serves as a counterpoint to the quiet Pettygrove Park, just 300 yards away. 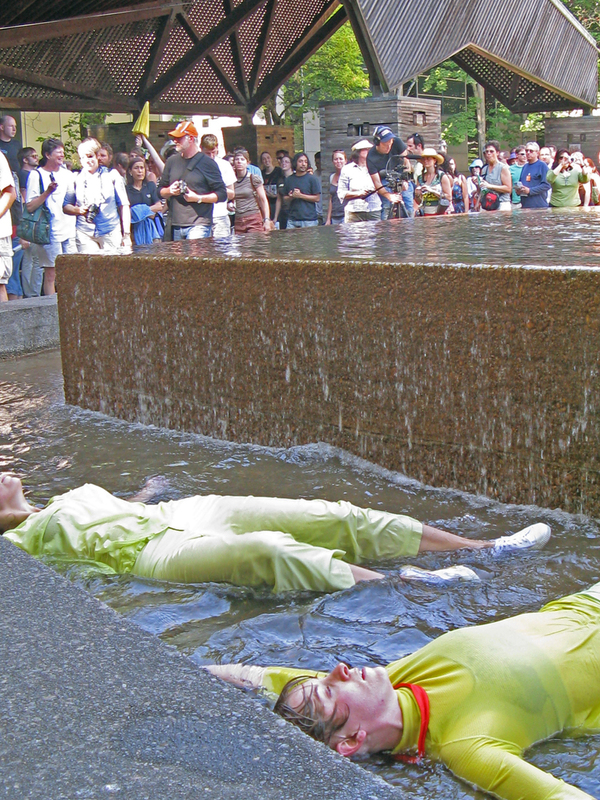 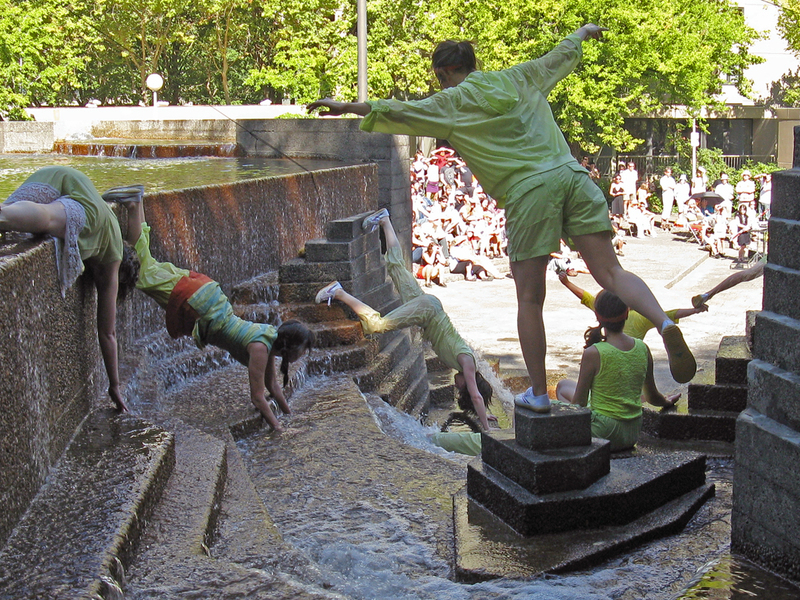 It was conceived in the 1960s by Lawrence Halprin + Associates, Satoru Nishita, partner-in-charge, as part of the Portland Open Space Sequence. 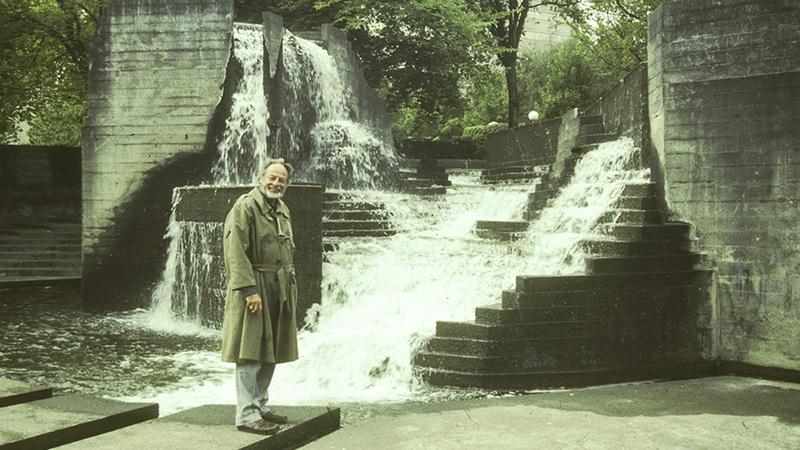 Often viewed from nearby buildings, the stepped terraces of board-formed concrete planes recall the barren High Sierra landscape that Halprin found inspirational. 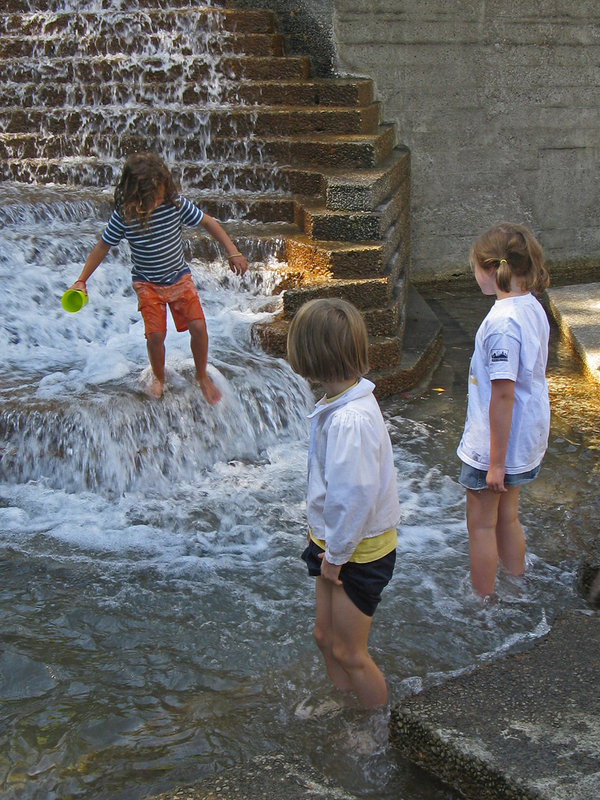 Vegetation is kept at the park’s perimeter, while within the plaza active fountains mimic the natural waterfalls and rushing streams of the nearby Cascade Range, culminating in quiet pools that invite visitors not just to look, but also to participate in the water feature itself. 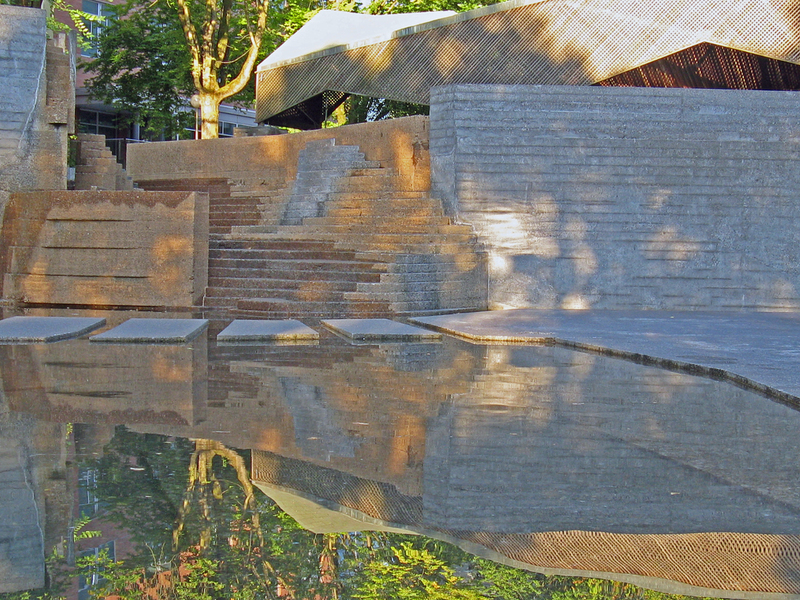 Providing a sheltered space is a wooden lattice pavilion designed by San Francisco architects Charles Moore and William Turnbull, Jr., who were also collaborating with Halprin at the time on the California development of The Sea Ranch.”The Source” fountain begins the sequence, leading to Lovejoy Fountain Plaza and then on, through a leafy bosque, to Pettygrove Park and the Ira Keller Auditorium Forecourt Fountain. 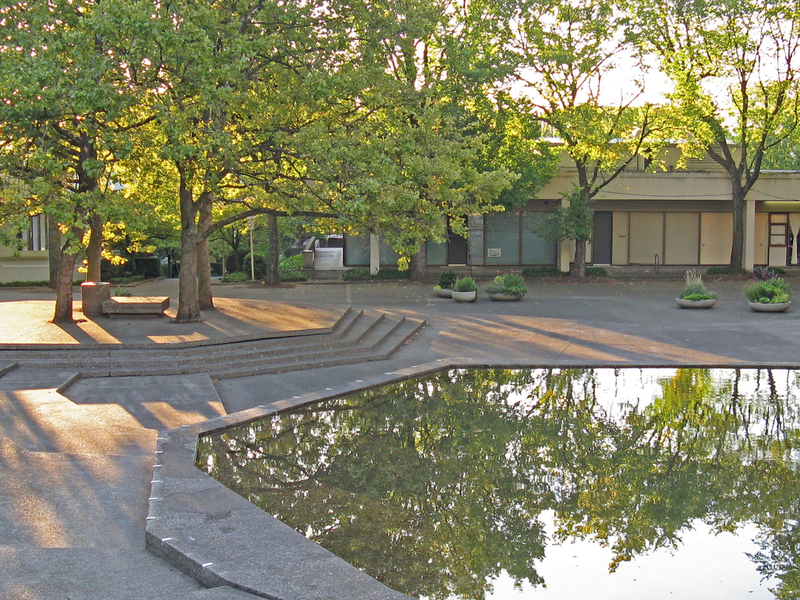 The Portland Open Space Sequence was listed in the National Register of Historic Places in March 2013.